The ASCEND Conference is ONLY 2 days away! The First Annual A.S.C.E.N.D. Leadership Conference is only TWO days away. Can you feel the excitement? Are you excited to meet and speak with these awesome leaders? Did you purchase your ticket? We still have seats available for several of you who are still interested in attending. Visit www.ascendyoungerwomen.eventbrite.com TODAY! 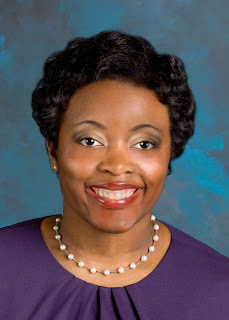 Stacey Chavis is President of The Stacey Chavis Company, a general political consulting, strategy and training firm. 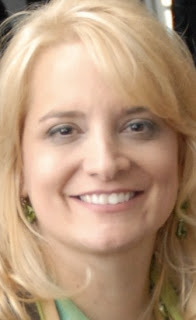 Stacey serves as political strategist, speaker and trainer. She assists candidates with campaign strategy and development. Stacey has become a sought after keynote speaker in the area of leadership. Stacey also provides leadership development trainings for leaders and elected officials. Previously, Stacey served as Southern Regional Director for the White House Project. In two years, Stacey trained over 2,000 women to run for elected office, work on campaigns and lead in their communities. 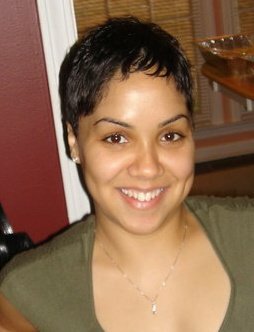 Stacey also served as the Deputy Finance Director for the Democratic Party of Georgia. 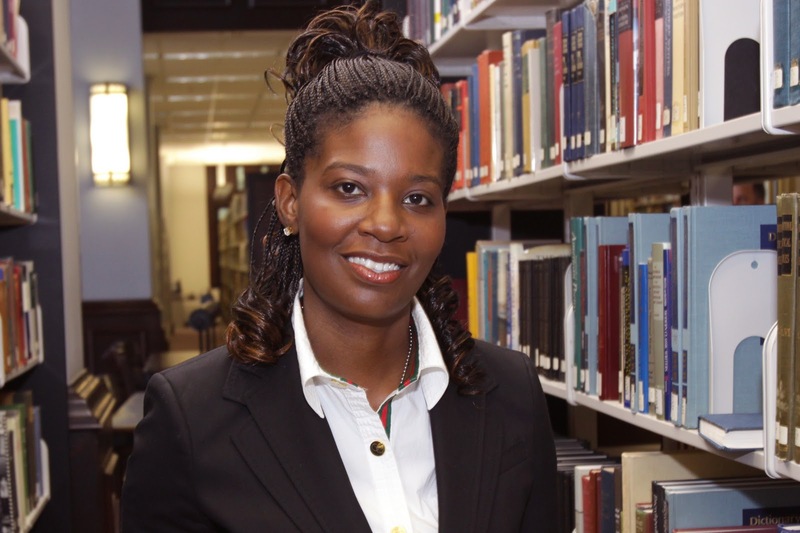 A native of Mauldin, South Carolina, Stacey received a B.A. in Psychology with a Political Science minor from Oglethorpe University in Atlanta Georgia. 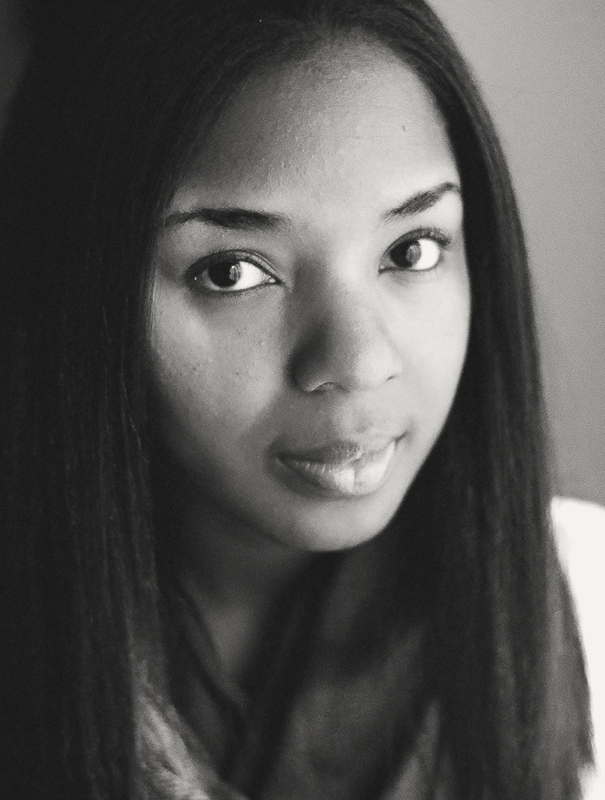 Dana Eason is the owner and lead photographer of Dana Eason Photography based in Atlanta, GA. Dana graduated from the University of Alabama, Tuscaloosa with a degree in Business. After interning with one of the Top 10 Destination Wedding Photographers in Atlanta, GA in 2009, Dana decided to pursue her dream of serving others through entrepreneurship and living a lifestyle of creative freedom. With only a year under her belt as an entrepreneur, Dana has traveled the world photographing family lifestyles, weddings, and celebrity athletes including 7-time NBA Champion Robert Horry and former NFL Player Dorsey Levens. Dana has mixed her love of creativity with her business background to begin living out the career and lifestyle of her dreams. Carolyn Monden is currently the chief-of-staff for Georgia State Representative Stacey Evans and Representative Margaret Kaiser. She is also Chair of the Latino Caucus for the Democratic Party of Georgia and sits on the board of the Red Clay Democrats. Mrs. Monden resides in Southwest Atlanta with her husband and two sons. Erica Pines was born and raised in Atlanta, Georgia. She received both her Bachelor of Science and Master of Public Administration degrees from Georgia State University. Erica Pines is very involved in the civic engagement and is a local community activist. She is a member of the City of Atlanta’s Zoning Review Board and is Vice Chair of the Latino Caucus for the Democratic Party of Georgia and also serves as 2nd Vice-Chair of the Fulton County Democratic Party. She is a graduate of Democracy for America Grassroots Campaign Academy and The White House Project Go Run training. Erica is a Regional Investment Volunteer for United Way Dekalb’s Community Impact Fund. She is also a member of United Way Women’s Legacy and is a graduate of the United Way VIP program. Erica has served as President of the Castleberry Hill Neighborhood Association and Vice-Chair of Neighborhood Planning Unit-M which represents 5 downtown Atlanta neighborhoods. March 23rd the HB200 human trafficking bill unanimously passed out of the Senate Committee on Health and Human Services. It is expected to reach the floor of the Senate by next week. Now is the time to contact your Senator by phone or email and ask him or her to vote "Yes" in support of HB 200 with no amendments. Do you have your Senator's contact information? Visit this link and enter your zip code to find out their name and how to contact them. Do you want to make sure that you are well-informed about HB200 and what it entails? Visit this link for details. The Atlanta Metro Chapter of the Younger Women's Task Force supports HB200 and in collaboration with Georgia Women for a Change, Inc. we intend to rally support of the bill and bring awareness to human trafficking throughout Georgia and around the world. Help victims of human trafficking by supporting HB200 and contacting your Senator today! On Saturday, March 26th members, friends, and supporters of the Younger Women's Task Force Atlanta Metro Chapter will have the honor of meeting, and hearing opening remarks by John Hope Bryant, the Founder, Chairman, and CEO of Operation HOPE and Bryant Group Companies, Inc.
For those of you attending the conference we wanted to give you a sneak peek into the life and work of John Hope Bryant, while making those of you who are not attending (or have not committed to purchasing a ticket) want to hurry and claim your ticket TODAY. From the humble beginnings of Compton, California and South Central Los Angeles, John Hope Bryant is today a philanthropic entrepreneur, businessman and best-selling author, in the business of empowerment. This includes Mr. Bryant’s non-profit work throughout the United States, through Operation HOPE, his global non-profit work led by HOPE Global Initiatives, his vast work in public policy, and his increasing portfolio in “thought leadership.” In August, 2009, Bryant’s new book LOVE LEADERSHIP: The New Way to Lead in a Fear-Based World” (Jossey-Bass), debuted on the CEO Reads Top 10 Best Seller List, and was #1 on the Amazon.com “Hottest New Books” List. Mr. Bryant is the founder, chairman and chief executive officer of Operation HOPE, America’s first non-profit social investment banking organization, now operating in 69 U.S. communities and South Africa, having served more than one million individuals and raised more than $500 million from the private sector to empower the poor. On January 22nd, 2008, Mr. Bryant was appointed by then President George W. Bush as vice-chairman of the bi-partisan U.S. President’s Advisory Council on Financial Literacy. Vice chairman until January, 2010, Mr. Bryant proudly served under the historic presidency of the Honorable Barack Obama, 44th President of the United States. Are you ready to hear what Mr. Bryant has to say this Saturday at the conference? Visit youngerwomenatlanta.org to learn more! Dr. Kendra King will provide the keynote address on Leadership at the First Annual A.S.C.E.N.D. Leadership Conference for Younger Women this Saturday, March 26th. We want you to get to know Dr. King before you meet her Saturday. Hold on to your seats this woman is so awesome that she will blow you away! Dr. Kendra A. King is a sought-after political thinker and commentator on political and spiritual leadership, Hip Hop politics and culture, African-American politics, the Black church, and leadership training and development. She is an Associate Professor of Politics at Oglethorpe University and the Director of the Rich Foundation Urban Program. Dr. King is an author or co-author of two books and nearly 10 articles. In 2009, Dr. King published two book chapters: "Let's Get It Started" in Service-Learning With Government Partners (Jossey-Bass Publishing Company, 2009) and For Us, By Us: Marginalized Groups Need To Take Back Hip Hop for the book, Justice in America (Kendall-Hunt Publishing, 2009). She is also a very passionate and grounded public speaker. In 2008, she was praised for her ability to, “add insight, vision, and wisdom as well as hold her own,” as the only female voice on the 2008, “Watch This” Election Panel which included the Honorable Andrew Young, Congressman Hank Johnson, and Bishop Eddie L. Long. The event was hosted by CNN. In addition to professional work, Dr. King devotes time to community service. Most notably, she was appointed as the Director of the Rich Foundation Urban Leadership Program, an umbrella organization on the Oglethorpe University campus which helps to attract, maintain and develop leaders. She has served as faculty advisor and mentor to several campus-wide organizations and students. She has served as a member of the Faculty Council and the Academic Program Committee in service to her colleagues. We're only a few days away from the exciting, energy-packed First Annual ASCEND Leadership Conference for Younger Women from 9:00am to 4:00pm at 103 West in Buckhead. We want to see who supports the mission and vision of the Younger Women's Task Force Atlanta Metro Chapter (YWTF-ATL) and our conference this Saturday. So today we're asking that all friends and members of YWTF-ATL switch their profile pictures and icons on their social media sites to our conference logo and cheer us on all the way through Saturday. Will you do it? Will you help to support us, our mission, and this very important conference? Show us your love and switch those pics! In five days, Saturday March 26th, the Younger Women's Task Force Atlanta Chapter (YWTF-ATL) will host its First Annual A.S.C.E.N.D. Leadership Conference at 103 West from 9:00 am to 4:00 pm in Buckhead. The Empowerment Keynote speaker will be Q100's very own, Melissa Carter, DJ and Co-Host of The Bert Show. Opening Remarks will be delivered by John Hope Bryant the Founder, Chairman and CEO of Operation HOPE and Bryant Group Companies, Inc. If these three powerful and inspirational individuals have you beyond excited, wait until we highlight the Roundtable Speakers who are ready to share with you what they know about Career Advancement and Management, Entrepreneurship, Work Life Balance, Political Leadership, Advocacy and Community Organizing, and Organizational Leadership. Trust us when we say, "You don't want to miss the ASCEND Leadership Conference for Younger Women"
ATLANTA-- The first annual A.S.C.E.N.D. Younger Women’s Leadership Conference produced by the Younger Women’s Task Force Atlanta Metro Chapter (YWTF-ATL) is set to take place on Saturday, March 26, 2011 from 9:00 am to 4:00 pm at the 103 West venue located at 103 West Paces Ferry Rd in Buckhead Atlanta. 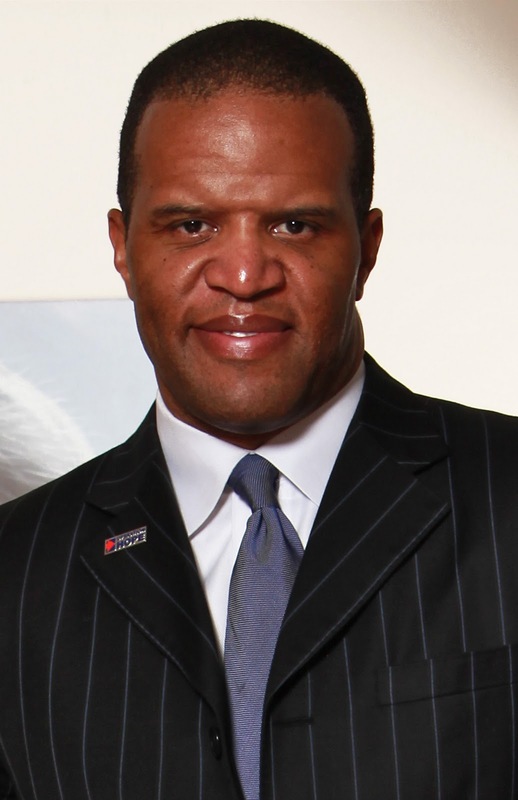 Operation HOPE Founder, Chairman and CEO, John Hope Bryant will commence the conference with opening remarks. In the morning, Q100’s The Bert Show cast member, Melissa Carter will lead an address on women’s empowerment. Author, political thinker, and professor, Dr. Kendra King will deliver a special keynote address on women’s leadership in the afternoon. “We are convening this conference , the first of its kind, for younger women and by younger women in Atlanta to unite, empower, and educate younger women about issues that matter most to them,” says Terica Scott, YWTF-ATL Chapter Director. Bryant and King will be on hand to sign copies of recently published books following their presentations. YWTF-ATL will recognize three younger women who have made outstanding contributions in community service, policy and advocacy, and business and career with Younger Women Leaders Awards. At the end of the conference, YWTF-ATL will host a special launch party of the new Younger Women's Network, the official networking arm of the chapter featuring gourmet dessert, networking, and music. “We have assembled a line-up of impressive leaders to deliver a world class inspiring and empowering experience to younger women in Atlanta so that they may translate, transform, and improve systems, policies, and cultural imperatives,” adds Scott. The conference proceeds will support chapter programs and initiatives. To purchase tickets, please visit ascendyoungerwomen.eventbrite.com or visit the conference Web site at youngerwomenatlanta.org. Mission: Established in 2009, the purpose of YWTF-ATL is to translate, transform, and improve systems, policies, and cultural imperatives to create, promote, and sustain an empowering, enriching, and enterprising community for young women aged 20-39 who live and work in the Atlanta area. Don't forget to join the Younger Women's Task Force Atlanta Chapter tomorrow, Saturday, March 12th from 10:30am -12:00pm at the Toco Hills Library as we host our March chapter meeting and a special presentation -- Finding Your Voice Workshop; teaching women how to put their best foot forward and present with pizzazz. Trust us when we say, you don't want to miss this! 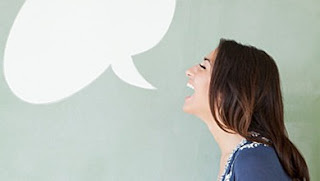 National Women and Girls HIV/AIDS Awareness Day: What Did You Do? Yesterday, March 10th was National Women and Girls HIV/AIDS Awareness Day. This was a day to bring awareness about the seriousness of HIV/AIDS, and the need for women and girls to get tested and stay protected. According to The Red Pump Project, "While progress has definitely been made in the areas of AIDS prevention and treatment, women still represent 27% of all new AIDS diagnoses, with African-American women accounting for 66% of that group. This year focuses on this statistic, “Every 35 minutes, a woman tests positive for HIV in the United States.”"
The Red Pump Project found a creative way to get the message out and to bring awareness to the cause. 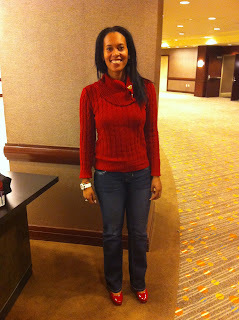 They called for bloggers and women nationwide to wear red pumps and spread the word. Some members of the Younger Women's Task Force Atlanta Chapter (YWTF-ATL) spread the news virally through emails and social media; and by following the lead of The Red Pump Project by wearing their red pumps. Our Communications and Marketing Director, Natasha L. Foreman proudly wore her red pumps and shared their symbolic meaning. After a long 11-hour day of traveling and attending a conference, Natasha didn't mind posing for a picture to show off her red shoes. What did you do to celebrate and bring awareness to this extremely important day? How did you spread the word? Share your stories and pictures. The Younger Women’s Task Force Atlanta Metro Chapter (YWTF-ATL) is excited that Naya Powell, Founder of Utopia Living (A Holistic Lifestyle Company) and Spa Utopia (A Luxury Travel Spa) will be one of the speakers at the First Annual A.S.C.E.N.D. Leadership Conference for Younger Women on Saturday, March 26, 2011 from 9:30am-4:00pm at 103 West in Atlanta. Ms. Powell will be presenting on “The Working Woman and Balance- Having it All!” After reading her impressive bio, you will be running to hear her speak at the conference. In addition to running two successful businesses, Naya is also an Executive Coach, Holistic Lifestyle Strategist, Writer, Speaker, and Curriculum Developer. Naya’s educational background includes a B.A. Degree in Business Administration with a Concentration in Marketing from Clark Atlanta University, Certification in Massage Therapy from Rising Spirit Institute of Natural Health, along with Post Graduate Studies at the College of Executive Coaching (An International Coaching Federation (ICF) Accredited-Post Graduate Program). Her Post Graduate Certification includes: Principles of Executive Coaching, Appreciative Inquiry in Coaching, Coaching, How to Use Assessments in Coaching (Myers Briggs Type Indicators - MBTI & Fundamental Interpersonal Relations Orientation - FIRO B), Coaching Competency & Feedback. Naya is also a Graduate of Georgia Stand Up Policy Institute for Civic Leadership. 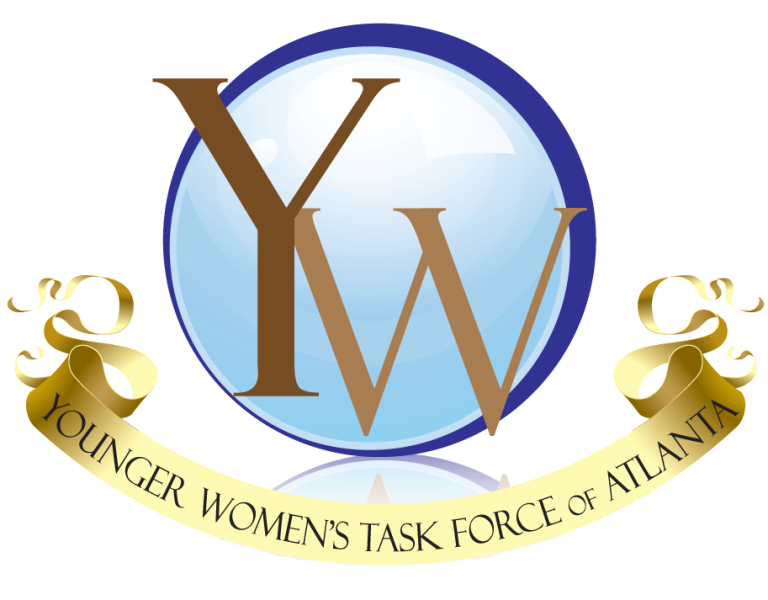 Join the Younger Women's Task Force Atlanta Chapter on Saturday, March 12, 2011 from 10:30am -12:00pm at the Toco Hills Library as we host our March chapter meeting and a special presentation -- Finding Your Voice Workshop; teaching women how to put their best foot forward and present with pizzazz. Trust us when we say, you don't want to miss this!